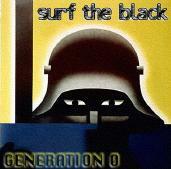 Surf the Black opened for Motorhead at the Ventura Theatre recently and I was glad they did. This band was a total surprise. They were the first act of the evening and they were the best of the opening acts. Their music was very Motorhead-like - fast, loud and very, very strong. I immediately made my way to the merchandise counter and got my hands on a CD. "Generation Zero" is an impressive combination of heavy metal and punk (again, much like Motorhead) and, although it lacks some of the fire that the band's live show had, the release is as strong as anything on the market today. For more information, check out http://www.myspace.com/surftheblack.